The Pittsburgh mafia’s Youngstown, Ohio crew encountered an embarrassing problem in the mid-1990s. Because of a shift in the area’s government power structure and a loss of its longstanding political, police and judicial ties, the mob in Bomb City USA (a longtime nickname referencing the city’s favored tool of persuasion) had been blown out of their own town. Lenny Strollo, the Pittsburgh crime family’s capo in the region at the time, controlled all vice in the cities and communities surrounding Youngstown, however couldn’t successfully impose his syndicate’s normal street tax or adequately collect gambling and loan shark debts in the city proper due to lack of law enforcement protection. It was becoming a serious problem and substantially cutting into his bottom line. By 1995, Strollo and his crew were practically completely shutout of earning within the actual city limits of Youngstown. A police raid of a Super Bowl party at an underground casino in the area punctuated the issue. In the city’s heyday, the whole town was “on the arm.” The idea that a mobbed up business could be raided by the local authorities was laughable. Times had changed for the worse for the mafia in Youngstown. Strollo’s answer? Buy his way back into power. Using John Chicase, an odd mix of hard-charging cop, political campaign strategist and mob enforcer, as a facilitator, Strollo reached out to Phil Chance, a former police detective and deputy sheriff, planning on running for Mahoning County Sheriff and offered to financially stake his bid for office in exchange for a ticket back into the Youngstown rackets. You know, the ones that up until a few years prior Pittsburgh’s good fella contingent had a steel-toed boot-wearing foothold in dating back several decades. Unfazed, Chance told Chicase to set up a meeting with Strollo. The meeting was held around the 1995 Christmas holiday at Chance’s residence. The two parties broke bread and commenced a relationship that would allow Strollo and the Steel town mob to reestablish its’ status back in the Youngstown underworld for a short while until the whole regime came crashing down to the ground, never to reemerge again. 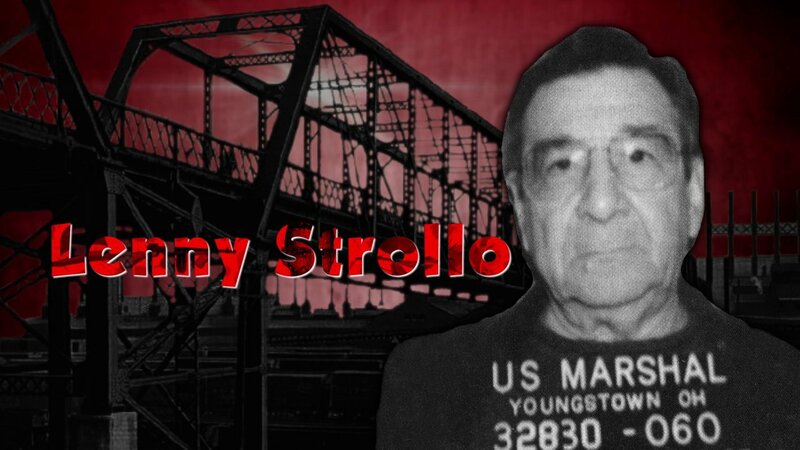 Strollo was raised in Youngstown, rising through the city’s mob under Vincent (Brier Hill Jimmy) Prato, the Pittsburgh mafia’s capo in the Mahoning Valley for 25 years. Cementing a reputation as a big money maker, Strollo oversaw the hugely profitable All-American Club, a multi-million dollar backdoor casino empire dubbed the biggest in the U.S. by the FBI at its height in the 1970s and 80s. Inducted into the Pittsburgh mafia by Pennsylvania Godfather Mike Genovese (died 2006) alongside his rival Joseph (Little Joey) Naples in a 1987 ceremony – with both men being sponsored by Prato –, the pair failed to coexist in the years to come. Shortly after the 1987 making ceremony, Prato retired and handed over the reins to his operation to Naples, much to Strollo’s chagrin. According to court records and FBI informants, in 1991, with Strollo, locked up for a short stint on a gambling offense and worried that Little Joey would pounce on his rackets while he sat in jail, either him or somebody close to him arranged Naples’ murder. When he got out, Genovese sent word to Strollo that he was the new capo of the Pittsburgh mob’s Youngstown crew. Jeep Garono was taped telling a local bookie, “Joey’s gone, we’re taking over, we’re in charge now,” in August 1991. At first, Strollo continued Prato’s previously-negotiated “pay-for-play” deal with incumbent Mahoning Valley Sheriff Ed Nemeth (in office from 1984-1996). Then, the deal fell apart and Nemeth shunned Strollo and his wiseguy cronies. The fact that no-nonsense Randall Wellington became the city’s Chief of Police in 1990 didn’t help matters: Wellington was unable to be corrupted and repeatedly rebuffed attempts by Strollo to bribe him. So, with Chance, Strollo saw his chance to get back into the game – funneling roughly $50,000 into Chance’s campaign, catering his fund-raising events by getting an indebted caterer to feed his potential donors for free and after Chance unseated Nemeth in the 1996 election, sending him and Chicase on a victory trip to Atlantic City. Once he won the election, Chance named Chicase in charge of the Sheriff Department’s Vice Unit – basically in charge of policing Strollo’s crew. Strollo and the Pittsburgh mob were back in business. Now, with the Sherriff Department’s support and muscle, “Lucky Lenny” was the mob king of Youngstown again. He could send his soldiers on their collection routes unafraid to be collared, he could have Garono run his various gambling spots with the knowledge that they weren’t going to be raided. Also, if extortion targets were balking or weren’t coughing up substantial tribute, Strollo could order Chicase to shut down their businesses as an enforcement tactic. Another fresh angle Strollo played in his rediscovered role as rustbelt mafia boss was delving into the area’s African-American gangland community, recruiting a number of eager black goons to work at the auspice of the mob in their neighborhoods. Chief among these newly-found urban foot soldiers was Jeff Riddle, an ambitious and flashy street thug who outwardly proclaimed that he was on his way to becoming the first black man ever “made” into the Italian mafia. Using Riddle and a confidant and lieutenant of his named Bernard (Bernie the Jew) Altschuler as his conduits to the black gangster scene, Strollo opened up shop on a new set of rackets, while taking home sizeable chunks of cash from a series of “high-roller” dice games Altschuler ran in Riddle’s territory and Riddle-led shakedown scams (Bernie the Jew and Strollo had been gangland running buddies as far back as the early 1960s). Strollo’s arrogance wound up being his downfall.In 1996, he was so confident in his stranglehold on the Youngstown establishment, he began ordering mob hits like he was ordering pizza. His decision-making process could be accurately described as reckless. Mob associate and strip-club owner Larry Sisman: killed in March.Former prosecutor and mob attorney Gary Van Brocklin: survives being shot in failed gangland-style hit in April. Aspiring Youngstown mafia don Ernest (Big Ernie) Biondillo, Little Joey Naples former right-hand man, Sisman’s “backer” and a hard-headed goombah Strolled described on a FBI wiretap as “not having respect for anyone or anything”: killed in a hail of shotgun fire as he drove to work in August. Recently-elected Mahoning County Prosecutor Paul Gains, an upset-winner in the election who refused to come in line under Strollo’s thumb: shot multiple times but survives ambush on Christmas Eve outside his home. The FBI responded with an assault of its own: saddling Strollo and his crew with a RICO indictment in late 1997. In early 1998, one of Strollo’s hit men, George Blair, an associate of Riddle’s, was arrested for the Biondillo murder following his pawning Biondillo’s diamond-encrusted pinky ring with the letters “EB” embedded in the stone. Blair’s arrest was the first domino to fall. He and two other assassins from the Biondillo hit team agreed to plead guilty and testify against Strollo. Jeeps Garono and Strollo’s younger brother Danny, a key henchmen of his, followed suit. Lenny Strollo himself did the math – it didn’t take a rocket scientist – and joined his friend Jeeps and his baby bro Danny on Team America. He flipped, testified against a series of fellow mobsters, corrupt cops (see Chance and Chicase) and politicians and entered the Witness Protection Program. Strollo, 85 years old today, was sentenced to 12 years in prison and has been free since 2012. The Pittsburgh mob and it’s Youngstown crew are history. Riddle and Altschuler never cooperated and both died behind bars. Blair was just sent back to prison earlier this year on the heels of a drug-dealing conviction. The irony that Riddle and Altschuler weren’t willing to rat, while their superiors in the mafia did and testified against them in court, didn’t escape those left behind in the dying gangster breeding ground that was Youngstown at the dawning of the New Millennium. “These Dagos snitch on each other, the only ones not to cop a plea and point a finger are two shines (Riddle and his nephew) and a Jew (Altschuler),” an unidentified wise guy was recorded commenting. I couldn’t believe there was a place as corrupt as Mahoning County,” Assistant U.S. Attorney Julia Stiller said as she left Judge O’Malley’s courtroom. Based in Washington, D.C., Stiller travels the country assisting in organized-crime prosecutions. She vividly remembers the first time she traveled to Youngstown with Assistant U.S. Attorney Craig Morford, who pointed out the different areas controlled by the Mafia. One of the topics on the agenda at that ill-fated meeting was the brutal Corn Sugar War, a familial feud of the late 1920s that left eleven local mobsters dead. The city’s first mob boss, “Big Joe” Lonardo, rose to that position by controlling the flow of corn sugar, a key ingredient used by bootleggers. But his monopoly of the corn sugar business was threatened when the Porrello brothers moved here from Sicily. The Porrellos asked to have a meeting with Lonardo, but when he arrived at a barbershop, two gunmen appeared from the back and opened fire, killing Big Joe and his brother, John Lonardo. The ambush flashed into Cleveland’s first mob war, which left four Lonardos and seven Porrellos dead. One of the soldiers in that war was a teenaged Angelo Lonardo, who went on to take his father’s nickname and position. Nearly fifty years later, “Big Ange” entered the witness protection program and became the highest-ranking mafioso to defect. His groundbreaking 1983 testimony established the existence of a national Mafia network and is still cited in mob-related cases. Posted in Corruption, fighter, history , people, Youngstown Tags: Bomb City, Boss, Chance, John Chicase, Lenny Strollo, loan shark, Lonardo, Mafia, mafioso, Nemeth, pittsburgh, police, Steeltown, strip-club, yuongstown. « Aladena “Jimmy” Fratianno—Tony Delsanter, Cleveland Mobsters.